Paula L. Christian, CFP® has worked in the financial planning industry since earning her CFP® designation from the College of Financial Planning in 1993. Although her BS degree from the University of Maryland is in Textiles and Apparel, her early introduction to the financial field while in college led naturally to a career in banking and financial services. At CoreStates Bank she was part of a specialized team that focused on the financial planning concerns of clients facing retirement. 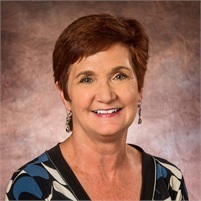 In 2007, Paula joined the staff of Van Reed Wealth Management, LLC as the Director of Financial Planning, and provided general and specific financial planning services to individuals and businesses, with a particular focus on retirement planning, college planning, investments and financial planning for women. With the merger of Van Reed Wealth Management and Financial Planning Advisors, Paula has taken on the role of Senior Service Assistant for the offices. She maintains her FINRA securities licenses through LPL Financial, member FINRA/SIPC, and her registered investment advisor designation through Van Reed Wealth Management and Financial Planning Advisors. Paula has been a long time community volunteer, serving as a past board member at Dayspring Homes, Berks Community Action Committee, and the American Heart Association. Currently she is a board member of the Friends of the Reading Hospital, whose projects include HeartSafe Berks County, Nic View cameras for the neonatal unit at the hospital, and funding support services for patients of the McGlinn Cancer Center, to name a few. Paula and her husband Ken enjoy travelling and spending time with their three grown children and their beloved dog, Milo. She is a frustrated contractor, and loves planning and doing home improvement projects. The LPL Financial representative associated with this website may discuss and/or transact securities business only with residents of the following states: Connecticut (CT), District of Columbia (DC), Florida (FL), Iowa (IA), Idaho (ID), Indiana (IN), Kentucky (KY), Massachusetts (MA), Maryland (MD), Maine (ME), North Carolina (NC), New Jersey (NJ), New Mexico (NM), Nevada (NV), New York (NY), Pennsylvania (PA), Rhode Island (RI), Virginia (VA), Washington (WA), Wisconsin (WI).